You’d better make a double batch because these tender, melt-in-your-mouth morsels will be gone before you can pack them away. 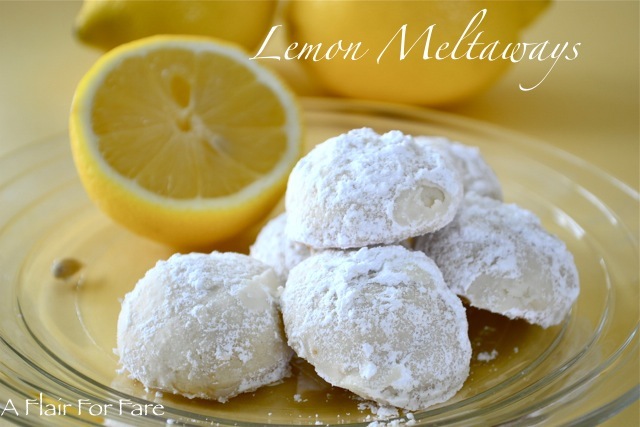 Light, lemony and luscious, these little shortbread bites are rolled in powdered sugar while still warm from the oven. In a medium mixing bowl, mix together flour cornstarch and salt. Set aside. Using a heavy-duty stand mixer, beat butter at medium speed until creamy. Add in 1/2 cup powdered sugar and continue beating until light and fluffy. Mix in zest and juice. Slowly add in flour mixture at low speed just until combined. Cover and chill one hour. Preheat oven to 350°. Line baking sheets with parchment paper. Roll dough into 1 inch balls and place 2 inches apart on baking sheets. Bake for 13-15 minutes or until lightly browned around edges. 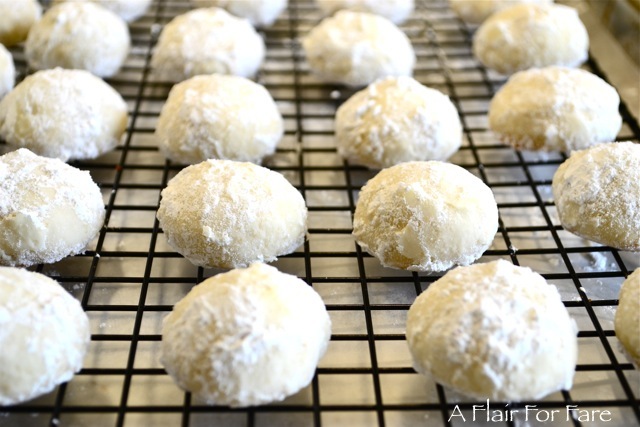 Cool on baking sheets 5 minutes; be sure cookies are firm then roll in remaining 1 cup powdered sugar. Cool completely on a wire rack before storing.